In terms of run production, the Brewers offense surged in the second half of the season. 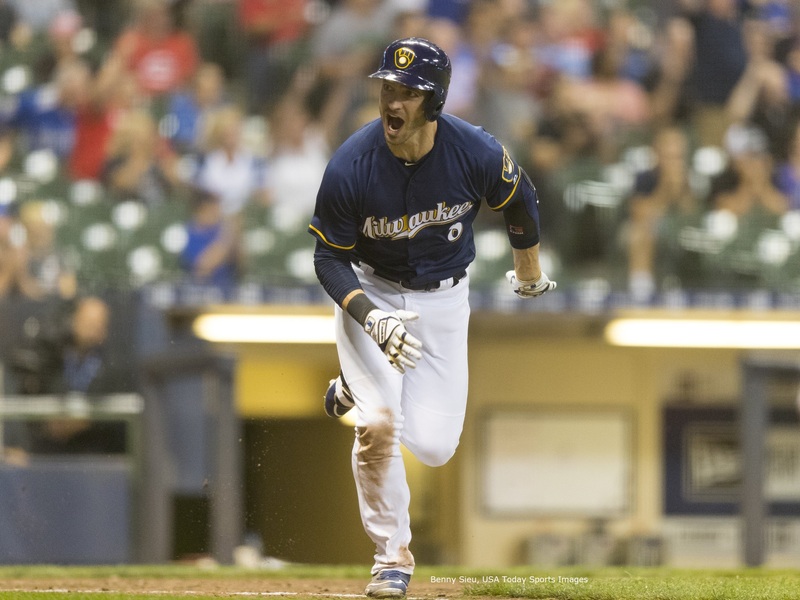 While the trade acquisition of Jonathan Schoop did not boost the offense as expected, GM David Stearns hit on Mike Moustakas and Curtis Granderson, which induced benefits at second base with Travis Shaw (who posted a .223 average / .309 on-base percentage / .496 (!) slugging at the keystone); around the diamond, Ryan Braun, Orlando Arcia, Manny Pina, September Domingo Santana, and even Hernan Perez improved to help bolster the batting order through development rather than trade. Christian Yelich’s absurd stretch run is another topic altogether. Ultimately the club eschewed a terrible April and escaped a mediocre July, improving notably in both August (+20 RS improvement) and September (+15 RS) to secure the NL Central title. Using Baseball Reference multiyear park factors, the Brewers offense finished nearly 30 runs better than their league environment, and Baseball Prospectus park factors have the club performing even better; by True Average, the Brewers are tied with Houston as the fourth best offense in the MLB. According to Baseball Prospectus Batting Park Factor, the actual mix of parks the Brewers batted in was fourth toughest in baseball, meaning that the Brewers were likely to play in environments suppressing runs by approximately five percent. Like 2018, the Brewers head into next season with a seemingly clear set of positions to improve, and seemingly clear prospects or internal development options to accomplish that goal. Orlando Arcia features prominently in calls for offensive improvement, as the elite gloveman suffered serious setbacks at the plate prior to his Triple-A demotions. Arcia’s glove makes roster decisions truly difficult, as the shortstop has impacted the game on the defensive end from the time he reached the MLB. If he bats anywhere near his second half line of .290 average / .320 on-base percentage / .396 slugging, the glove will play (for reference, the eighth batting order spot hit .229 / .304 / .357, so second half Arcia would easily clear that hurdle). Second base is a roster challenge, as Noah Nofz highlighted earlier today. It’s easy to dream on the future in terms of Keston Hiura’s potential, but it’s also worth remembering that the Brewers needed to improve center field for 2018 and still traded away their best development options there (Lewis Brinson, Monte Harrison). A trade of Hiura is not out of the question should Slingin’ Stearns get requisite return. The trouble is how the Brewers juggle additional roster elements and free agents there, as opposed to the development pains (or pay offs) of sticking with Hiura. Catcher is probably the most popular fan option for improving the club, because it offers the flashiest trade opportunity (J.T. Realmuto) and a couple of the best free agents in the 2019 class (e.g., Yasmani Grandal). Yet, it is worth emphasizing the strength of the Brewers’ fielding behind the dish in 2018, in order to frame offensive performance. Neither Manny Pina nor Erik Kratz were that bad at the plate in 2018, and both were exceptional defenders. Using Adjusted Fielding Runs Above Average, which is a fielding statistic adjusted to assess the nuances of throwing, blocking, and framing for catchers, Kratz (11.1, eighth best) and Pina (6.3, nineteenth best) produced plenty of defensive value for the Brewers. Of course, Grandal is the rare free agent catcher that can produce both excellent offensive and defensive value…. Right field is a difficult position to assess because it’s become quite barren behind Domingo Santana for multiple reasons. First, midseason trades included Brett Phillips, who would have been an excellent candidate for a glove-first, power-speed fourth outfielder to help boost that corner position. Next, Christian Yelich does not produce good defensive value off of left field, which raises questions about Ryan Braun’s future role (in left field) and the value of keeping Yelich’s bat in the order at any defensive cost (September-level production rendered that question moot for the time being). Furthermore, there are not necessarily advanced outfield prospects that would be considered strong enough to knock Santana off of right field. All this either makes right field the perfect position for an external acquisition, or for staying put with Santana. The trouble, of course, is that should the Brewers simultaneously develop Arcia and Hiura at the MLB level, and keep Kratz and Pina, this entire series of completely justifiable roster moves could produce an offensive black hole in the 6th / 7th / 8th batting spots when things are going rough (or, in Hiura’s case, just getting started). This is where the Brewers’ most important wager occurs: they must weigh the long-term development plays (both Arcia and Hiura have clear “role ceilings” that are better than average at the MLB level) against the need to contend in 2019 (and produce runs to do so). All of this is potentially compounded when one reasonably figures that Lorenzo Cain and Christian Yelich cannot possibly be expected to be as good as they were last season; obviously this does not mean that they cannot maintain performance or even improve, it just should not be viewed as a certain outcome. 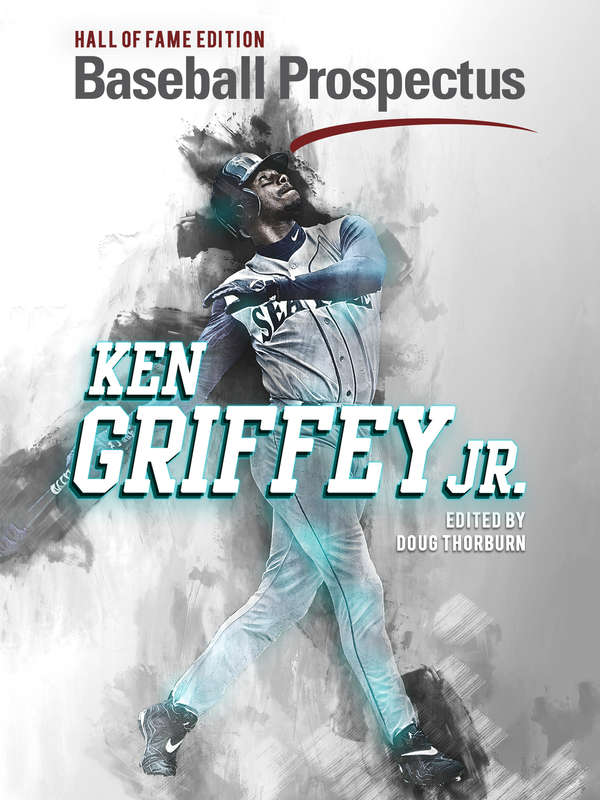 Baseball Prospectus True Average is an effective statistic because it weighs and combines a more complete picture of offensive production than other metrics, and presents the result in an intuitive number similar to batting average. A player with a .260 TAv is an average player. Aspects included in TAv that are not included in some other metrics are situational hitting and errors, plus alternative weights on strike outs and bunts, among other elements. So, let’s use TAv to assess the Brewers offense: with the descriptions above in mind, how do the elements of the club compare to the MLB positional landscape? What is the positional landscape? Not unlike pitching staffs, positional ranks across the MLB are split among groups of players for each team. 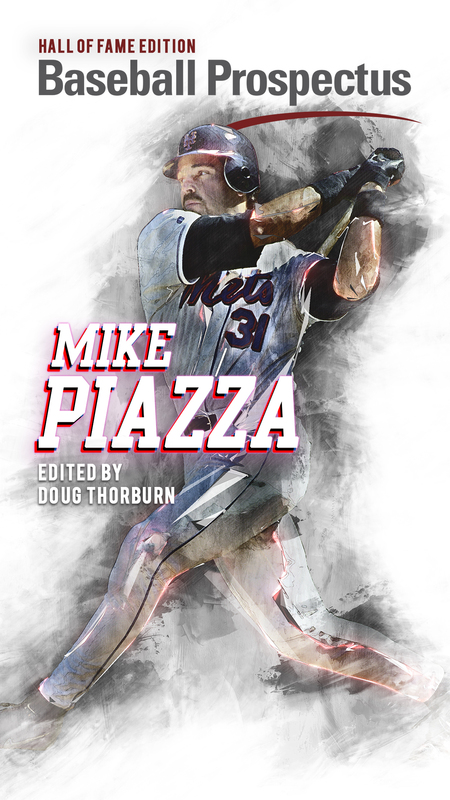 The ideal of plugging in a starting player at each position was always just an ideal, as injuries and platoon strategies have been widespread since the early 20th century ballgame; now, MLB front offices may simply be even more willing to try bizarre positional formats (such as the Brewers’ positional flexibility) and substitution patterns (think 2018 L.A. Dodgers, here). Thus, the split between players with 300 (or more) plate appearances and those working below that threshold is quite large. It should be noted that outside of the corner infield positions, there are no other positions on the diamond where the median player and the regular player are better than average according to TAv. This should be intuitive in some sense, underscoring the importance of teams finding players that can work at least 300 plate appearances in a season. Of course, the median playing time at each position should demonstrate the difficulty of assembling even a group of players that can work 300 PA at a position; often teams will need to rely on a group of players that fall short of even that mediocre playing time threshold. This uneven playing time environment, set against a foundation that establishes the importance of finding a batting order full of regular players, should demonstrate why and how teams can make wagers or trade-offs with their players (for example, the club can weigh Arcia’s shortstop defense against the value of piecing together a couple of other options at the position; that’s just one example). Milwaukee effectively gambled on both Cain and Yelich, who were team leaders in production and playing time beyond the league median. Yet this dynamic top of the order duo hardly exhausted the positions at which the Brewers effectively stacked regulars. Travis Shaw, Ryan Braun, and Jesus Aguilar were each fantastic compared to their respective positional leaguewide performances; Hernan Perez and Manny Pina were not necessarily as far from “average” batting production as most fans think. Outside of regular workloads, Domingo Santana and Mike Moustakas turned out to be crucial depth players, albeit for different reasons. Retaining contractual rights to Aguilar, Braun, Cain, Shaw, and Yelich should be viewed as extremely positive news for the 2019 club, even with all the caveats about regressing performances, etc. On this model, the benefits of “standing pat” in free agency and trade markets should have some appeal, as one can see that weighing the defense at catcher and shortstop, or simply waiting for Keston Hiura and(or) Mauricio Dubon to arrive at second base need not be viewed as a drag on the offense. In fact, Hernan Perez can probably cover second base in an effective manner to open the season, allowing the Brewers to free up cash and prospect resources to double down on their pitching staff. Right field becomes an interesting question, as Santana’s closing month produced a final True Average that held up against regular MLB right fielders. Of course, one can expect that David Stearns will not simply stand pat this offseason. The point, then, is to understand that there is no linear narrative about the Brewers bats improving in 2019. This group of players surged to close 2018, made some crucial developmental strides (in the case of Arcia) and mechanical tweaks (in the case of Braun) that could bode well for future performances. There is no clear path to improving the offense without spending significant cash or prospect resources.